Three men who were involved in an elaborate cannabis factory hidden at a farm near Bexhill have been sentenced. Keith Fieldwick, 54, of Denbigh Road in Hooe, and Thomas O’Brien, 56, of Shrub Lane in Burwash were each found guilty of producing a controlled drug after a trial in December last year. Michael Hill, 74, of High Street in Burwash pleaded guilty to the same charge before the trial began. 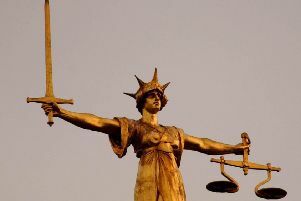 ll three men appeared at Lewes Crown Court this afternoon for sentencing. At a previous hearing prosecutor Gareth Burrows described how police officers caught the three men ‘red handed’ surrounded by cannabis plants. Officers then proceeded to search the house and found more evidence of cannabis production throughout, with six rooms being used in the production of cannabis, the court heard. In the grounds police found huge polytunnels filled with cannabis plants. Overall 601 plants were found with an estimated street value of between £240,000 and £721,200. Speaking at the sentencing hearing this afternoon, O’Brien’s defence counsel Jonathan Ray said: “Mr O’Brien is industrious and this is totally out of character. He told the court that the evidence puts O’Brien at the farm on the day the police raided it and the day before, but at no other point. Jay Shah, defending Fieldwick, argued that he played a ‘limited’ role in the cannabis factory, rather than a ‘leading’ or ‘significant role’. He described Fieldwick as someone who is ‘deeply caring, hardworking and someone who has had significant troubles in his life’. Mr Shah said his client was a ‘devoted father’ and the sentence would heavily impact his family. Dale Beeson, representing Hill, said the evidence, which was accepted by the judge, only put his client at the farm on the day of the police raid. Mr Beeson asked that Hill be given credit for his guilty plea and asked that any jail term be suspended. Sentencing the three men, Recorder Stephen Lennard described the enterprise as a ‘very significant cannabis growing operation’. He continued: “Mr O’Brien and Mr Fieldwick you tried to persuade the police that you knew nothing of this operation before arriving at the property on October 2, 2014. Addressing Hill, Mr Recorder Lennard said he was satisfied that he had played a lesser role in the drugs production. Fieldwick was jailed for four-and-a-half years. O’Brien was jailed for three years. Hill was given a 22-week prison sentence, suspended for 18 months.